After the ATO is over, this media is subject to reform. 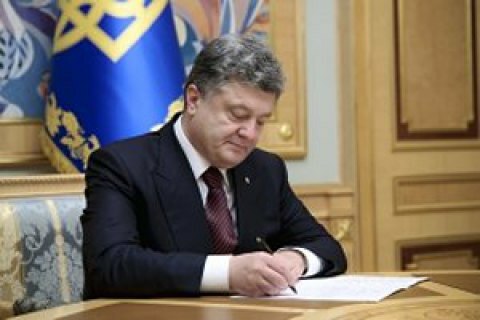 President Petro Poroshenko on Monday, 12 June signed a law authorizing the Ministry of Defense to establish print media during the antiterrorist operation. Under the law, editorial boards of printed media established by the ministry should include a representative on issues of temporarily occupied territories and internally displaced persons and proportionally include press officers of the ATO headquarters, journalists working in the ATO zone, and members of NGO sector. The media will be funded from the state budget. After the ATO, the print media within three months is subject to reform. On May 18, the parlaiment authorized the Defense Ministry to establish print media for the period of the ATO. President Poroshenko has stated the belief that the current level of freedom of speech is unprecedented for Ukraine.